Mollie is best known as one-fifth of leading girl group, The Saturdays. The multi-platinum selling band have sold over 5 million records worldwide, scored 13 Top 10 singles and 5 Top 10 albums. The band also embarked on 4 natonwide headline tours and starred in 3 primetime TV series, including ‘Chasing The Saturdays’ for E! which aired in over 40 countries including America. In 2018, Mollie King made the successful transition from popstar to presenter. As a new face of Radio 1, she presents 3 weekly breakfast shows for the BBC station alongside her sidekick Matt Edmondson. With less than half a year into her role, Mollie won the silver award for ‘Best New Presenter’ at the 2018 ARIA Radio Academy Awards. 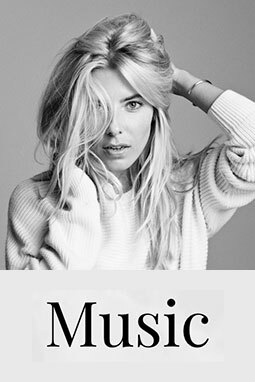 In addition to landing her new Radio 1 role, Mollie presented This Morning several times last year and has hosted slots on shows such as Lorraine, Zoe Ball Show and E4’s music platforms. In January, Mollie hosted ‘The Greatest Dancer’ podcast for the BBC which aired weekly. As part of the phenomenally successful girl group ‘The Saturdays’, Mollie has sold millions of records around the world, appeared regularly on the cover of magazines and picked up awards from both Glamour and Cosmopolitan.